No one diets perfectly. Even athletes, bodybuilders, and models whose careers depend on dieting will fall off the wagon sometimes. Even people whose lives depend on it will often continue to eat the food that is slowly killing them. That said, some people are better at it than others. Whether this is down to “how much they want it,” willpower, environmental toxins, neurobiological differences, differences in strategy, or other factors is not apparent. No one has a full understanding of why some people can maintain diets better than others. Cue — The process starts with a signal, which could be the sight of food, being at a buffet, thinking about food, seeing an advertisement, being with a particular person, or even just having a bad, stressful day. Emotion — The cue triggers an emotional response, which you experience as a craving. That is something you feel in your body. It’s uncomfortable, and it feels like an impulse to action. Response — Then comes your reaction to the craving. Usually, this means giving in to the desire and eating. Because falling off of a diet is a three-step process, this gives you three places in which you can intervene, three chinks in the armor of addiction. You can avoid cues, weaken cravings, and change how you respond to desires. People — do you get cravings when you’re with specific people? When you’re alone? Places — are there any physical locations that cause cravings? Times — do cravings tend to come in the morning, afternoon, or evening? On any particular day? 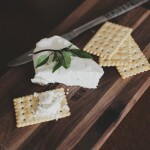 Activities — do you get cravings while doing anything specific? If watching TV triggers them, it there any particular show that does this? You should also keep a “Cue Diary.” Buy a small notepad and carry it with you wherever you go. Anytime you experience a craving, write down where you are, who you’re with and what you’re doing. Remember, cues can be visual, auditory, olfactory (smells) or even mental. You should then have a big list of cues. After you’ve done this, get another sheet of paper and make an anti-cue list. Think of all the times, locations and activities that made you feel like eating a salad, or that gave you the motivation to stick to your program or fired you up to do some exercise. You should now have two lists, one with negative cues and another with positive ones. Now, think of ways you can adjust your routines away from the latter and into the former. Do you get a craving when you drive past a particular restaurant on the way home? Take a different route. Does one specific friend always tempt you off of your program? Speak to them about what you’re trying to achieve an ask them to support you. If they can’t accept your goals, minimize contact with them. Do you get an urge when you see an individual advertisement on TV? Sell the TV and take up reading again. Meditate — practice mindfulness meditation for 20 minutes per day. Relax — practice relaxation exercises regularly, get a massage or visit a spa. Be active — take up a regular exercise routine. Take control — for anything in your life that cause you stress, think about and implement solutions to the problem rather than remaining passive. Connect — spend time with the positive, supportive people in your life. Be healthy — reduce your alcohol consumption, quit smoking and consume less caffeine. Sleep — ensure to get seven to nine hours of quality sleep each night. Gratitude — take 10 minutes each day to write down the things in your life for which you are grateful. Counseling — if you regularly suffer from low moods, seek advice from your doctor who can direct you to suitable counseling services. Mindfulness meditation — research has shown that mindfulness can reduce the intensity of unpleasant emotions, including cravings. There are many apps out there with free guided meditations, or you can find some on YouTube. Distraction — cravings are not permanent; they often last for around 20 minutes before gradually subsiding. If you’re feeling a craving, try playing a video game or puzzle, watching some comedy, playing a musical instrument — anything to take your mind somewhere else for a while. Enlist a “buddy” — Find a friend willing to serve as your buddy. If you’re feeling a craving, call them up and get them to support and encourage you. Exercise — Go for a run, lift some weights, or practice some yoga poses. That will boost your mood as well as distract you. Goal reminders — Make a list of all the negative consequences of falling off your diet and all the positive benefits of sticking to the program. Go over this list to strengthen your resolve whenever you need it. The link from cue to emotion to behavior is a learned one. The more often you respond to a signal by eating, the stronger the connection becomes. However, the reverse is also true. Every time you are exposed to a cue, feel a craving, and do not eat, the link weakens. The pathways in your brain linking the prompt to the emotional response start to shrink and the neurons involved thin. At the same time, you strengthen the brain pathways leading to your coping strategies. Maintain your diligence, apply the procedures listed above, and you’ll find that sticking to your program gets easier over time. 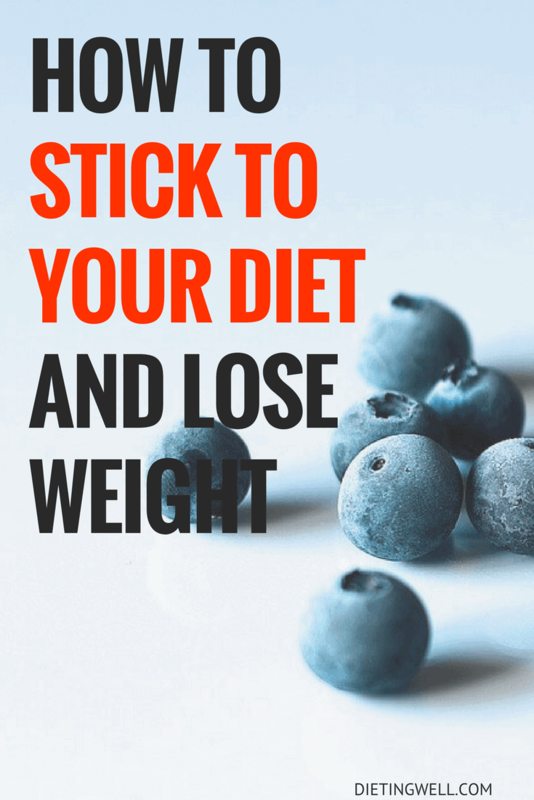 Can’t stick to a diet? Share your experience in the comment below.